1. 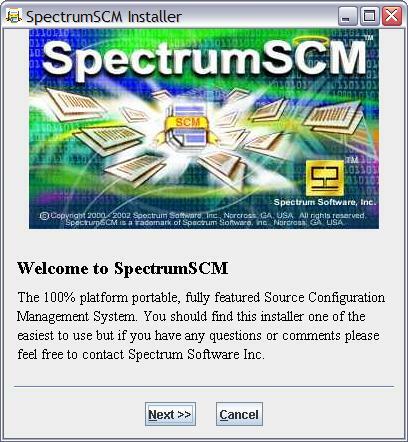 Once the installation process has started, the SpectrumSCM Installer screen will be displayed. 2. 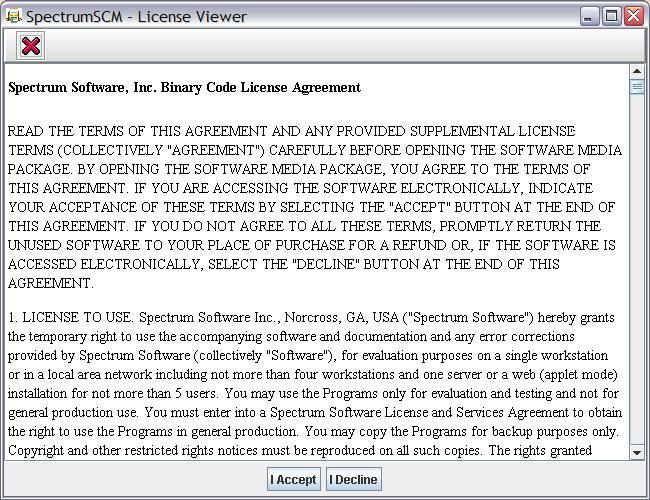 The End User License Agreement will be displayed. Click I Agree to continue. 3. 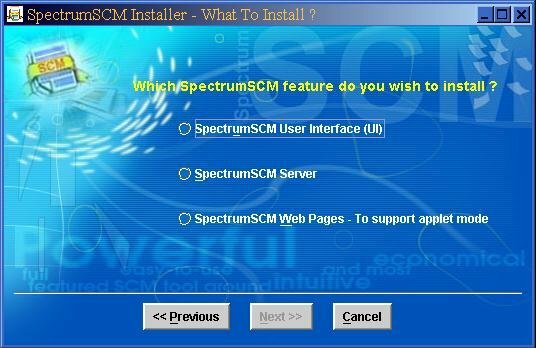 Select the feature you wish to install, the UI, server or Applet Web Server pages. Click Next to proceed. 4. 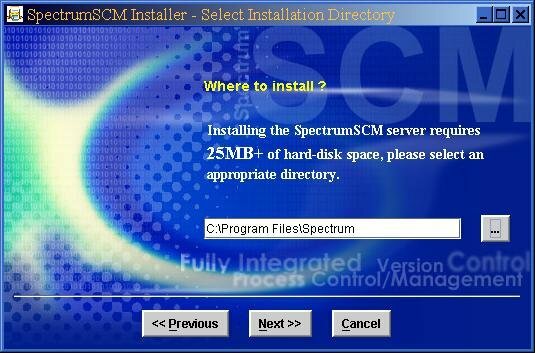 A prompt for the directory to install the SCM tool is displayed. Click on the Browse to browse the system. 5. Enter your mail servercontact information (e.g. 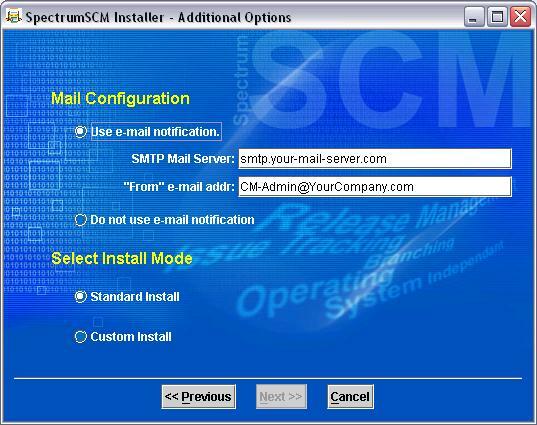 smtp.mindspring.com) for notification or select Do not use e-mail notification. Select Standard Install and click Next. 6. You can review the Parameters given and continue. Click Perform Install. 7. 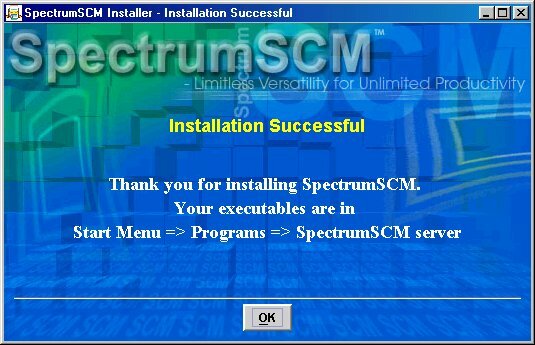 When the install is complete, location of the SpectrumSCM executables is presented. 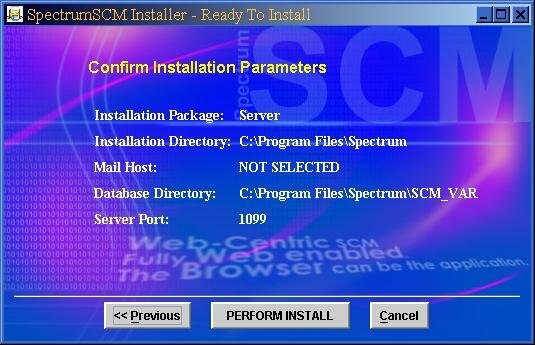 Click OK to complete the process and exit the installation screens.